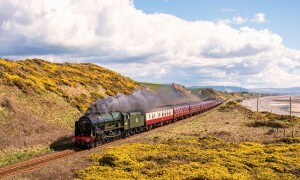 In 2017 the railway celebrates 50 years since the formation of the charitable Trust (1967 – 2017) and to set the wheels in motion for this anniversary year, popular locomotive, Royal Scot, will steam in to the attraction and set off the new season in style. Royal Scot, which was built in 1927, was the first in a new breed of steam locomotives, made by the LMS for their fastest passenger services from London to Birmingham, Manchester and Glasgow. She was then rebuilt by British Railways in 1950 and went on to serve another 12 years in traffic on the West Coast Main Line. She was eventually retired in October 1962. After a major overhaul, Royal Scot returned to steam in September 2015. She made her successful main line debut on December 22nd and 23rd with test runs from Crewe to Carnforth and return. She hauled her first main line passenger train for over fifty years on February 6th 2016 from Crewe to Holyhead and will travel through the North York Moors National Park from Saturday 25th March 2017. 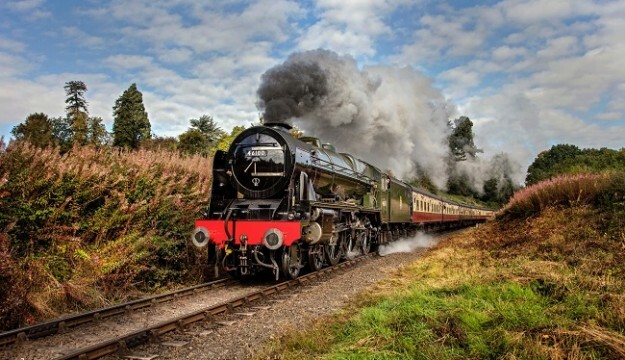 NYMR is one of the most historic lines in the North of England, taking visitors on picturesque journeys along an 18 mile railway line aboard steam and heritage diesel trains. The railway passes through stunning scenery, from wooded valleys to beautiful countryside, stopping at charming villages and spectacular seaside locations. 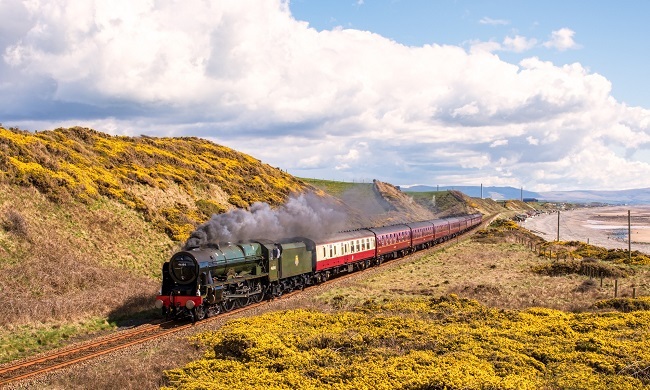 Tickets for Royal Scot are now on sale, with adult prices starting from £30 and children £15, with a family ticket (2 adults & 2 children), available for just £64. Groups (20+) can also take advantage with adult tickets from £27 per person. Royal Scot will be at the North Yorkshire Moors Railway from Saturday 25th March to Sunday 2nd April 2017 (excluding 27th & 31st March). For regular news, updates and competitions, North Yorkshire Moors Railway is also on Facebook facebook.com/northyorkshiremoorsrailway/ and Twitter twitter.com/nymr. *1967 was the formation of the North Yorkshire Moors Railway Preservation society which then became the North York Moors Historical Railway Trust Ltd.